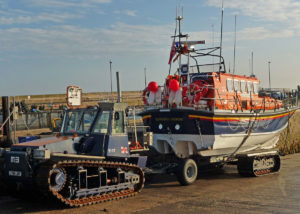 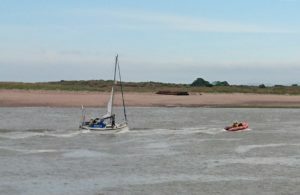 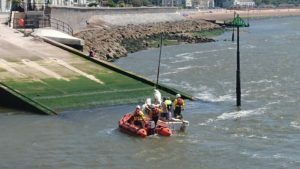 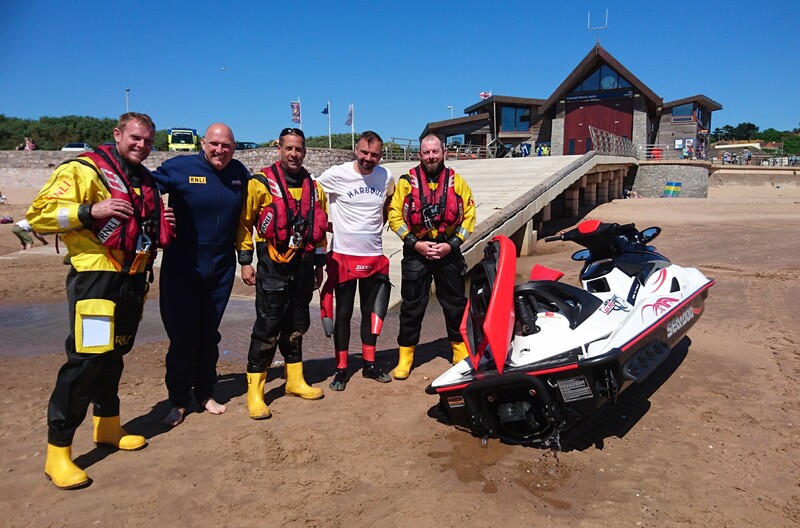 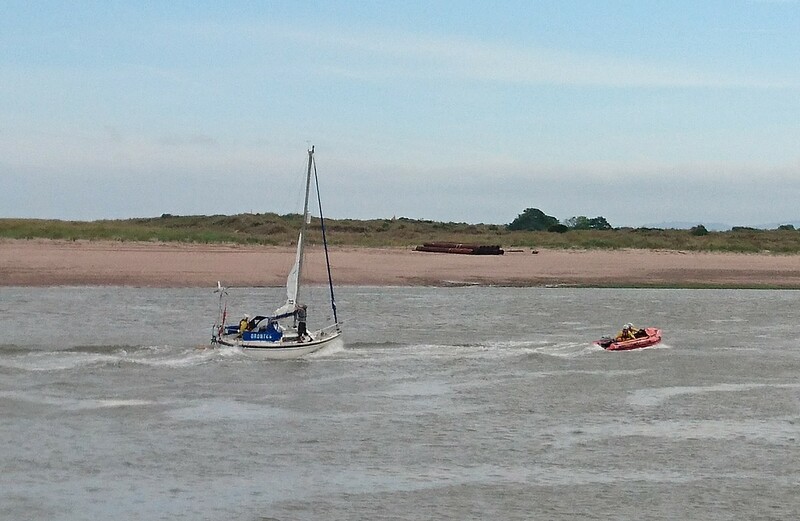 Inshore lifeboat George Bearman II launched at 11.57am on 25 May to two men in difficulty on a sailboat, half a mile south of Exmouth lifeboat station. 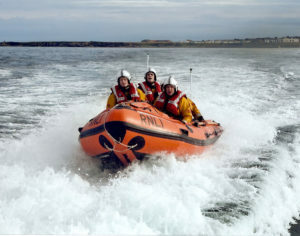 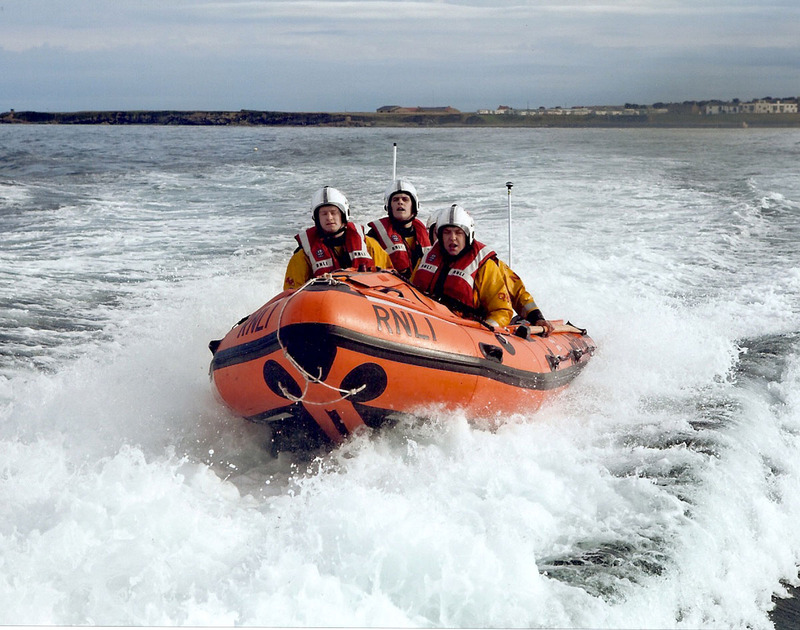 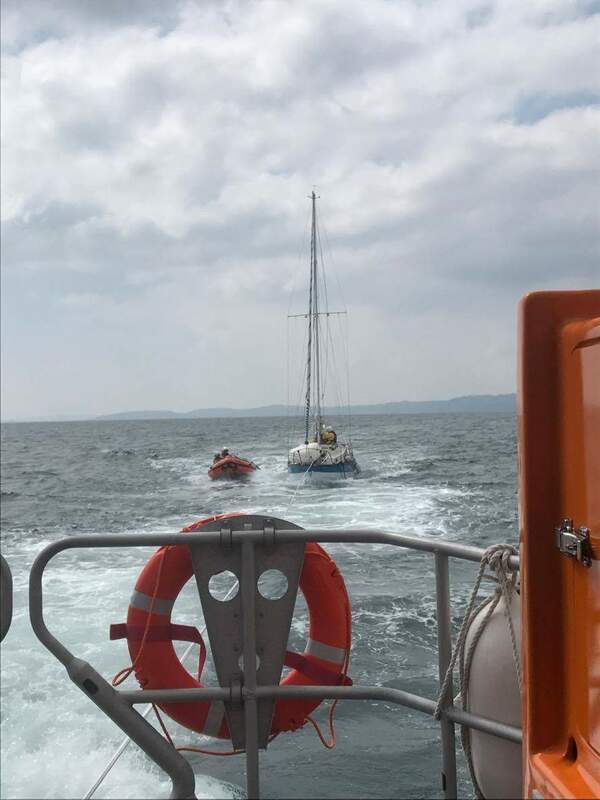 The RNLI Arranmore lifeboat was called out to assist two people in a boat with engine failure off the coast of Glen Head, County Donegal on Saturday evening 20th May at 8 35pm. 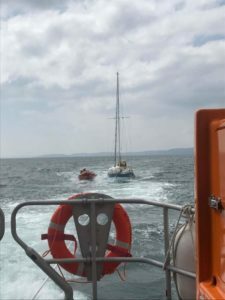 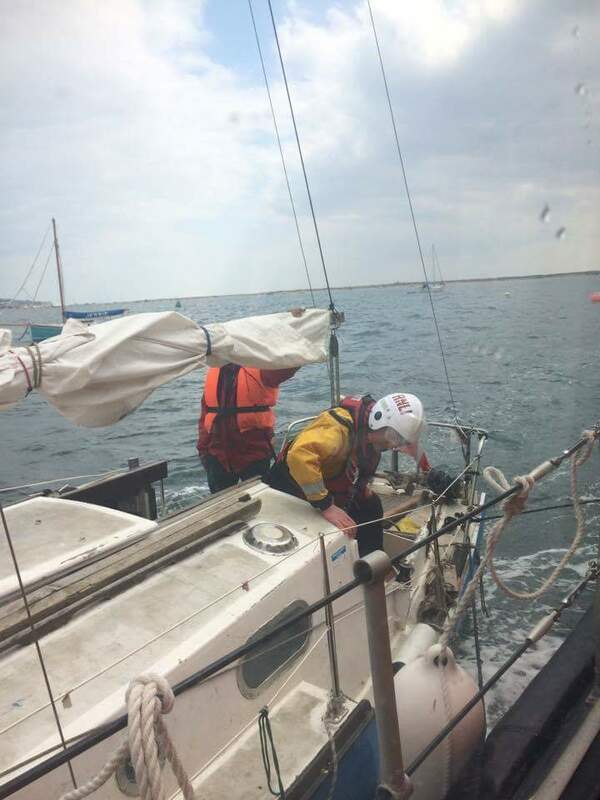 The boat which had left Bunbeg and was on its way to Sligo, developed engine trouble and was taking in water and had to drop anchor off Glen Head until the lifeboat secured a tow rope. 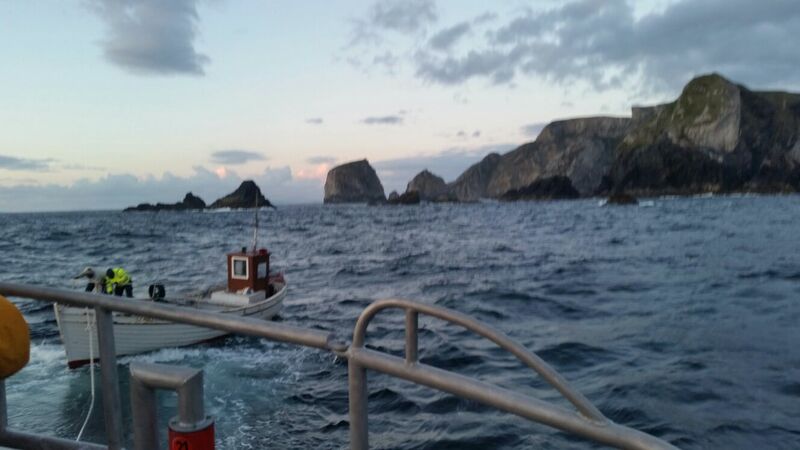 The lifeboat proceeded to tow the stricken vessel to Burtonport where it was placed in dry dock for repair. 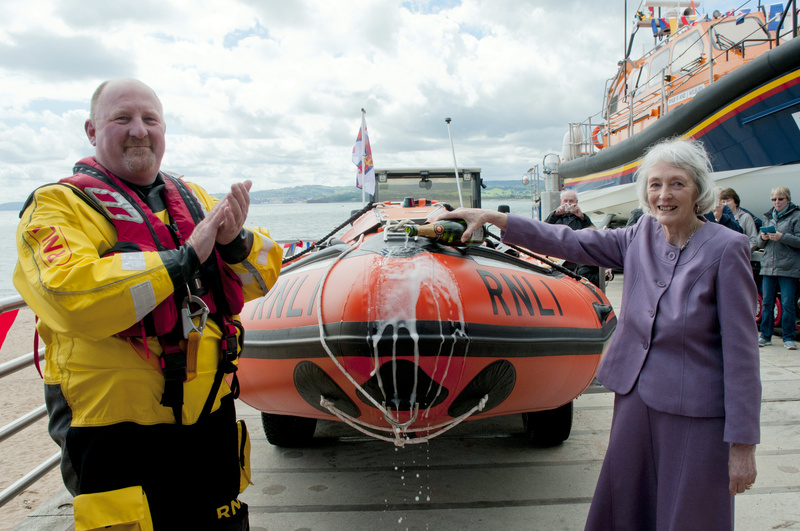 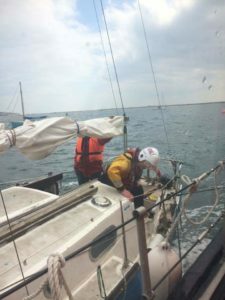 Jimmy Early, coxswain of the lifeboat said the crew did the right thing calling out the lifeboat and as we approach the summer that people should be aware or the RNLI’s Respect The Water Campaign. 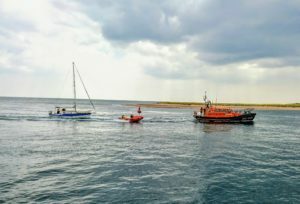 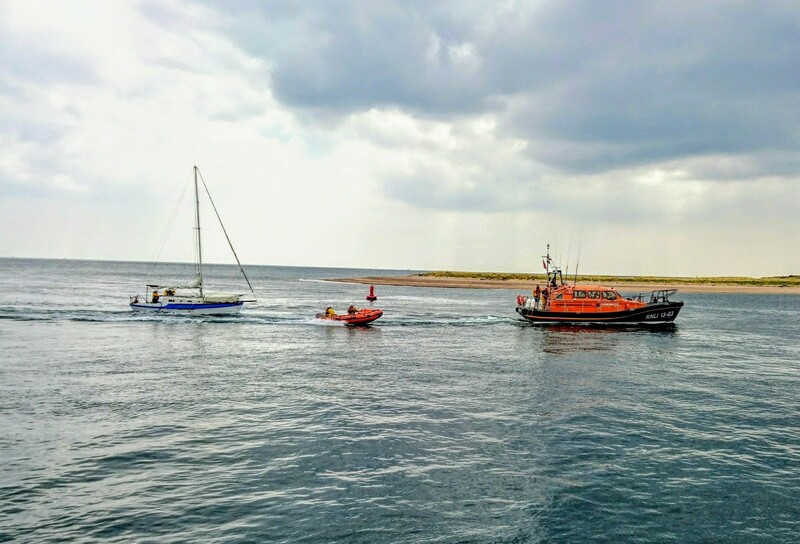 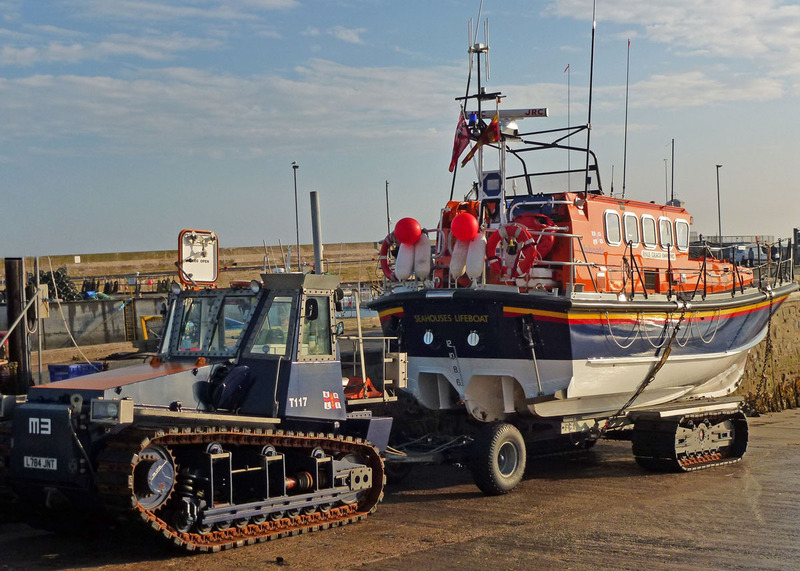 Exmouth RNLI Shannon class and D class lifeboats launched today after a passing tug spotted a lone sailor aboard a 26′ yacht in difficulty, two miles south of Exmouth. 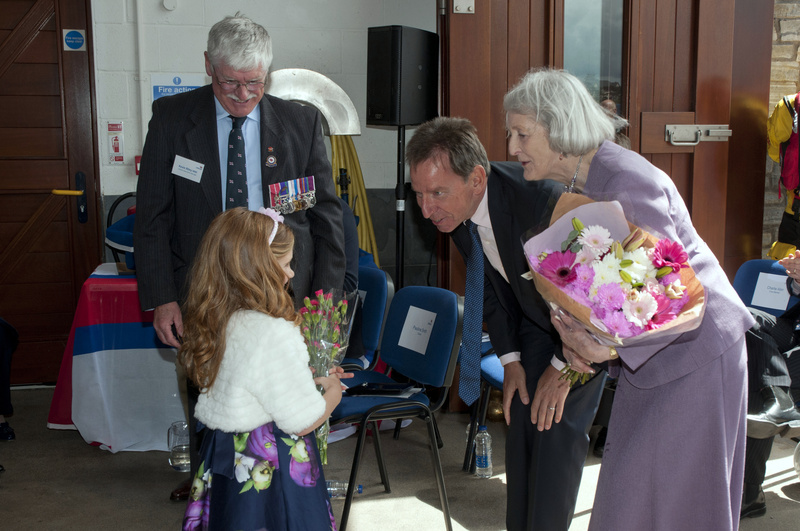 The man was taken to his mooring off Starcross pier and safety advice was given. 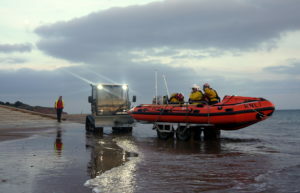 The casualty was wearing a lifejacket but his VHF radio wasn’t connected, meaning the only method of communication he had was a torch to flash SOS.